WINDSOR MILL – Students from the Cardinal Shehan School are capable of lifting spirits with more than their voices. 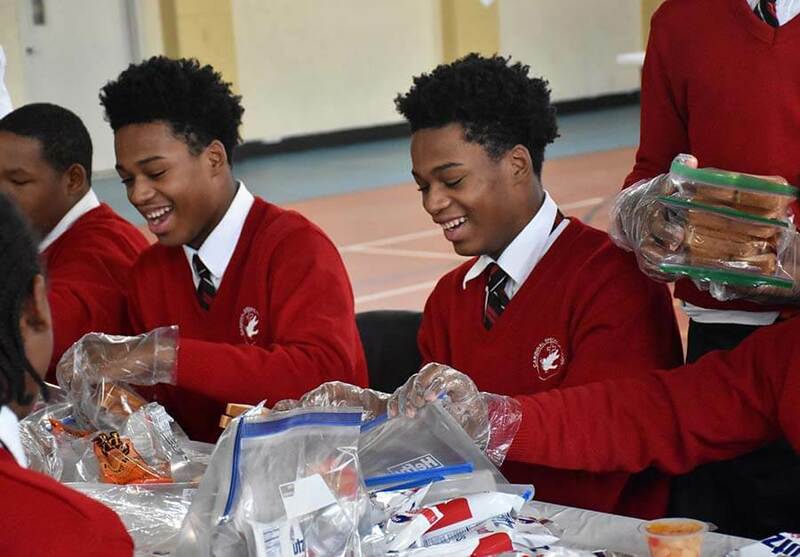 Before the Catholic school on northeast Baltimore had a viral choir, its current eighth-graders developed a relationship with their peers from Al-Rahmah School, an Islamic school in western Baltimore County. Together, the students made bag lunches Dec. 19 for people who are homeless. The service project extends an initiative that began when the students were in sixth grade and they wrote to each other as pen pals. Last fall, students from Al-Rahmah visited Cardinal Shehan, where the pen pals met and collaborated on a drawing centered on the theme of peace. The 300 lunches, each packed with a sandwich, bag of chips, fruit cup and bottle of water, will be distributed at Beans & Bread, a program of St. Vincent de Paul of Baltimore. Each lunch includes a note from one of the students, letting the recipient know that there is an individual on the other end who cares. 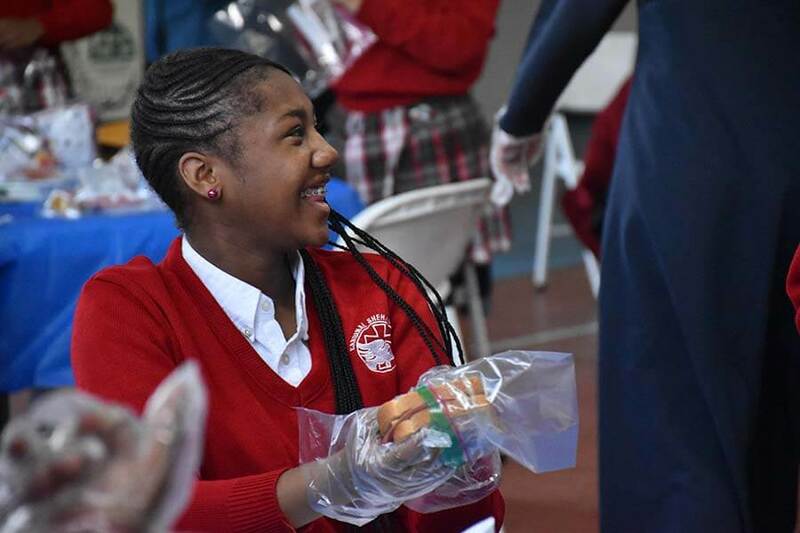 Madison Brown, one of the 48 eighth-graders from Cardinal Shehan who participated Dec. 19, said that she wants to do more with her peers at Al-Rahmah. Despite Catholic school uniforms and hijabs, teachers and students alike commented on the eighth-graders’ similarities. While it took the students a few minutes to warm to each other, they became friends after discovering a mutual love of music and other topics. The idea originated with Father Joseph Muth, pastor of St. Matthew in Northwood, who, along with his parish’s Immigration Outreach Service Center and pastoral council, wanted to find a way to connect with the Muslim community. As the partnership continues to grow, they hope to add a component for parents to meet and interact. “We want our kids to get to know Muslims early on,” said Father Muth, who added that the students easily found “the common ground of life” within each other. In October, Cardinal Shehan School soared in visibility when a video of the school’s choir singing “Rise Up” by Andra Day went viral. Fametta Jackson, principal, said that the school was a “well-kept secret” before. Jackson, who walked the halls of Cardinal Shehan School when it was a parish school for St. Matthew, said that it is important that the world knows that singing is just one way the school promotes its mission of peace. 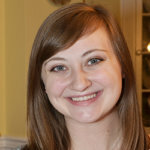 The schools plan to continue the partnership after the current eighth-graders move on.